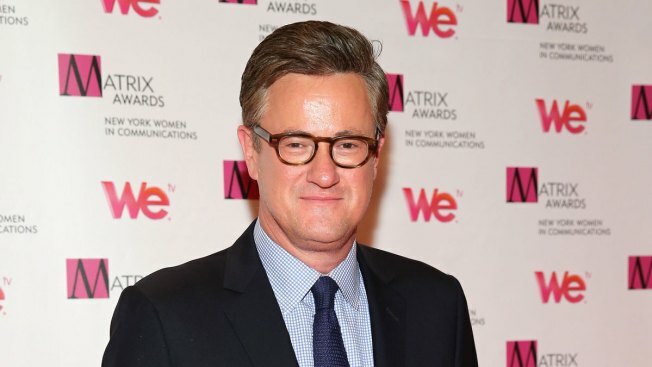 File photo of MSNBC's "Morning Joe" Joe Scarborough attending the New York Women In Communications 2013 Matrix Awards on April 22, 2013 in New York City. MSNBC host Joe Scarborough says his son is doing "much better" after suffering a fractured skull Thursday. Scarborough's "Morning Joe" co-host Mika Brzezinski said on Friday's program that 25-year-old Andrew Scarborough was rushed to Bellevue Hospital in New York after falling down a flight of stairs. Brzezinski says the younger Scarborough's condition is "touch and go" but says he has been stabilized. Joe Scarborough missed Friday's show, but said on Twitter that Thursday was "a frightening day and long night." The former congressman says Andrew was able to respond to a neurologist's questions. He said the doctor "ended by asking him his favorite team." Scarborough said Andrew replied, "The Red Sox, who've won 8 in a row."